X-teme Heat™ is ideal for when you need superior heat output and ease of use. 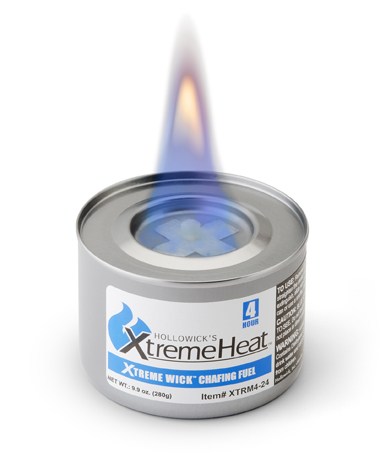 The unique "X" design of the trademarked Xtreme Wick™ allows for a larger, hotter flame compared to most liquid wick fuels. Safe: Non-hazardous, no shipping restrictions, no storage limitations or insurance issues. 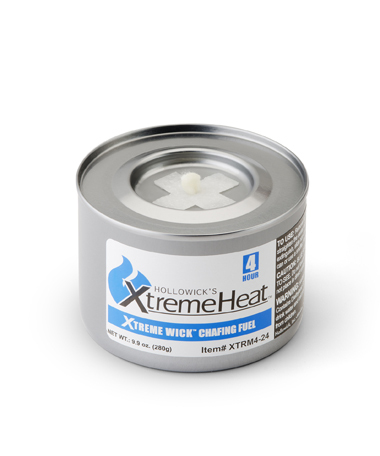 Consistent: The external Xtreme Wick™ wick poistion offers a more consistent burn compared to gel fuels. Easy to use: Simply pop the cap and quick-lighting center wick. The top may also be replaced for reuse. Xtreme Heat™ is packed 24 cans/case.